Its so awful when your book is published and you enter a period of intense trepidation wondering if any one will read it, and then as soon as the sales start flooding in you worry about if anyone will actually enjoy it. Finally the comments and reviews arrive and this is the point I am at now. 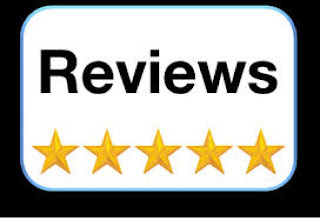 I am overwhelmed by the positive comments I am getting from readers and the joyous feeling of realising that many months of hard work has been worth it. People are enjoying my creation and it makes me happy! Now I have to deal with the pressure from readers who want the next book to read NOW. I guess I better get on with it then. Just butting in here to say that I've just finished the book :D I got to the end and tried desperately to make the next page appear. PLEASE let me know when the next one is out I neeeeeeed to read it. It flows so well and I couldn't stop reading! Chilling out in bed reading my new book written by the fab Karen Wrighton. Really enjoying it so far only started yesterday and hooked in already! Hey Karen Wrighton, finished it today. I was engrossed throughout much if yesterday and thoroughly enjoyed it! You've created an excellent universe and there's loads of potential for the storyline! Some really interesting mechanics were explored and I like the history of the afterlands. I'd love to see more character development. You've got some great characters but I'd like to see more interaction with one another so I can see how the relationships change and develop over time. I picked up on some hints that Arjan and Rose might have had something blossoming but nothing overtly told me so. Plus other than being older and a bit more knowledgeable about the afterlands, I don't think I got to know Arjan very well. I got the feeling that Auriel and Rose were close friends but there wasn't much interaction to tell me that either. Lee and Ash's friendship would have been cool to see develop too since they are such contrasting characters-they started off not really liking one another and then they seemed to be good friends within the space of a chapter. Don't be afraid to 'not answer' or resolve some plot points from one book to another. The intrigue will lead us readers to become more engrossed. Roses lack of power at the beginning or Kas resurrection could have been stretched out further so as to develop this intrigue and also develop the characters. I thought I'd read this book over the summer in a tidbit fashion...ended up engrossed and finishing it off in a frantic weekend of book reading! The author has created a great universe and has a set of interesting characters that I look forward to seeing develop over the series (there better be more books after this one! I need more!) From my limited experience of fantasy literature I thought I detected some influences from J.K.Rowling and Robert Jordan style fantasies. Fast paced and fun. 4\5 and not 5\5 merely because I wanted more character development. I imagine future books will explore the relationships between the core 4 characters more, as well as the motivations of other characters, including the supporting 'evil' and 'good' characters. It looks like the Blog Tour of Ascension of the Whyte is to be scheduled for the first week in August. So now I am madly organising prizes and give always to help make it a success. So put the date in your diary and check back here regularly for updates! Last weekend I began book two of the Atfterland Chronicles and managed to complete the first draft of Chapter one of the book which has the working title 'Ryte of Passage'. It is my intention to develop some of the newer characters as well as delve more deeply into the relationships between each of the main protagonists and of course the antagonists. The book is to begin where Ascension of the Whyte ended, so nothing important will be missed out. Twists and turns in the plot are already in the scheme of things. It really is great fun and an exciting challenge to try to surprise my readers and keep them interested and engaged in the story. I love it! 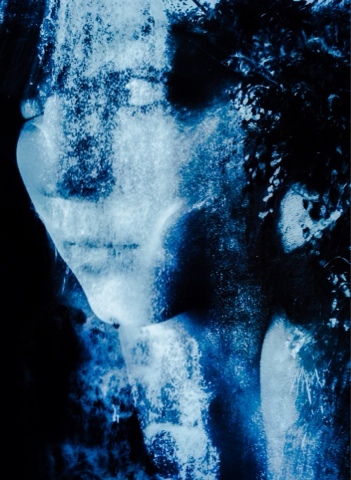 Take a look at the image that is to be used for the cover design for Ryte of Passage... There will be dragons too! Today was a good day. Today not only did the paperback edition of Ascension of the Whyte go on sale, but today I also got my first review on Amazon and it was very positive. I just need a few more like that now. So if you've read my book, please review it, or send me some constructive feedback, I would really appreciate it. Take a look at the paperback edition . Today I approved the proofs of the paperback edition of Ascension of the Whyte. All being well they will be available for purchase by the end of next week. The new font I used for the chapter headings looks really good and the Afterlands map is awesome. Really looking forward to seeing the finished paperback. Ever since I was a child I would escape at every chance into the world of fantasy offered by authors such as Enid Blyton and later John Wyndham and then others such as Stephen King and James Herbert. As I have got older my tastes have changed but to me there is still nothing better than immersing myself in the pages of a good book and since I have become an author of fantasy fiction (The Ascension of the Whyte), I have felt the need to look even deeper into what makes a good storyteller. When I was a child I was always accused of 'having my head in the clouds', partly this was due to my height at 5 ft 11 inches I was tall for a girl, but mainly it was because I was always off somewhere in a world of my own or 'away with the fairies' as my teacher once put it. However this I now believe was my way of coping with what was a somewhat traumatic childhood. Our home was a constant battle ground, my mother and father constantly battled and often this was physical. I have a very clear memory of once hiding behind the sofa with my dog, both of us shivering with fear as the battle raged around us. What was even worse was that sometimes the battle came directly to me and my sister and we too were subjected to physical and emotional harm. I believe my withdrawing into a fantasy world was almost certainly my way of escaping reality and of protecting myself from the horrors of reality all around me. Recently I began to wonder if this experience of childhood trauma, resulting in a fantasy prone personality, was common in authors of fiction and I decided to look into it further. What is a fantasy prone personality? According to Barber and Wilson a 'fantasy-prone personality' is where individuals are liable to blur the divide between imagination and reality, allowing the former to intrude into the latter in ways that made their imaginary experiences seem quite real. (1) being an excellent hypnotic subject (2) having imaginary playmates as a child, (3) fantasising frequently as a child, (4) adopting a fantasy identity, (5) experiencing imagined sensations as real, (6) having vivid sensory perceptions, (7) reliving past experiences, (8) claiming psychic powers, (9) having out-of-body or floating experiences, (10) receiving poems, messages, etc., from spirits, higher intelligences, and the like, (11) being involved in “healing,” (12) encountering apparitions, (13) experiencing hipnogognic hallucinations (waking dreams), and (14) seeing classical hypnogognic imagery (such as spirits or monsters from outer space). Emily Brontë , is an author known to have immersed herself totally in the fantasy worlds that she created. She was almost completely isolated and self-contained and appears to have had no friends whatsoever, nor the least interest in making any. Her needs seemingly entirely satisfied by her family and her imagination. Her chief recreation was solitary walking on the Yorkshire moors. The Psychologist Harald Merckelbach found in these two studies that those people rated high in fantasy proneness were also rated by independant judges, to be able to create stories which were more emotional, more plausible, and richer in content than non-fantasy prone individuals. Many people have had traumatic childhoods, and are drawn to creative expression as part of their way to deal with it, to heal and regain self-esteem. Many talented actors also have suffered traumatic experiences. For example Ashley Judd, who was sexually abused, Charlize Theron who, as a teen, saw her mother shoot her father and James Dean who lost his mother to cancer when he was nine. Elizabeth Taylor reportedly once claimed that she had been sexually abused by a minister. The actress Halle Berry has told of being terrified that her violent father, who physically abused her mother, would turn on her. The evidence does seem to suggest a link between childhood trauma and fantasy proneness. Those who suffer from childhood trauma tend to have more highly developed imaginations, and it may be that developing this coping mechanism gives us damaged individuals the tools we need to create believable characters and stories, enabling us to shine as actors or writers. It would be nice to think that something good could come out of all the horror there is out there. It appears that my traumatic childhood may have predestined me for the two career paths that I have taken, Psychology (to find out why people do the things they do) and story writing (using my well-developed imagination to create believable, new and fantastic worlds). Whether or not my fantasy proneness makes me a better than average story-teller remains to be seen. If you are interested in judging for yourself please read my book and give me some feedback in the form of a review. 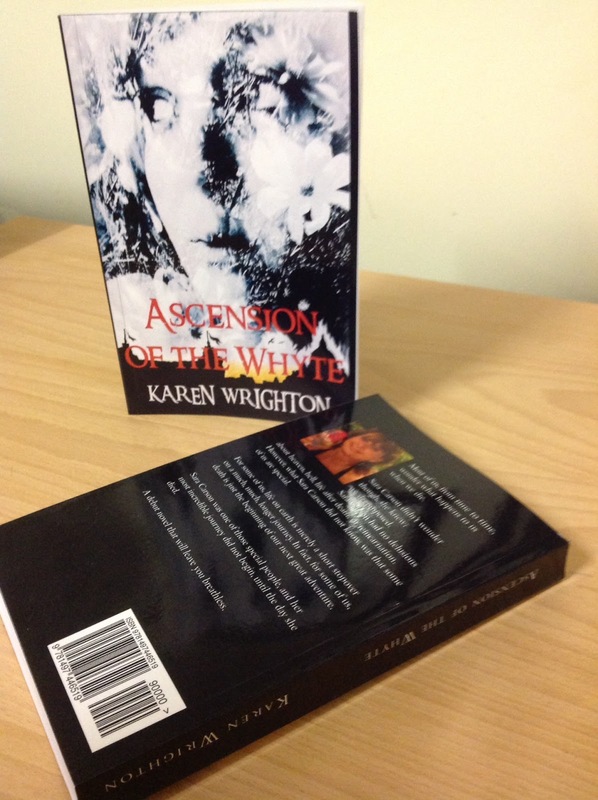 Proof Copies of Ascension of the Whyte Arrive! 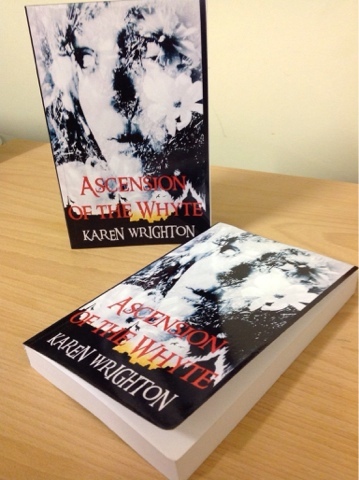 Well here they are, the proof copies of Ascension of the Whyte, ready for the final proofing. So far I have discovered a few errors including one major omission ... The page numbers! Hopefully I have now addressed all the issues and can approve the publication of the novel in paperback by the end of the month. So if you are one of the "I like the feel of a real paper book" people, then you should be able to get your hands on a copy shortly. Until then the book is available on Amazon for Kindle, check out the links on the sidebar. 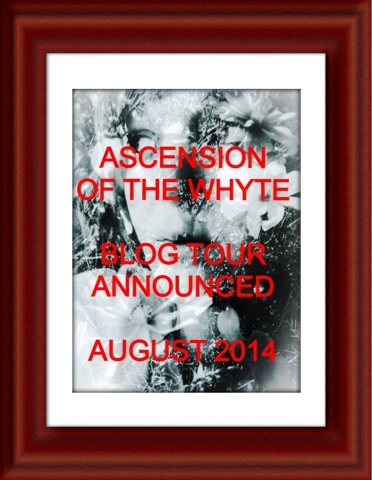 Ascension of the Whyte has been published! ‘Most of us, from time to time, wonder what happens to us when we die. Sara Carson didn’t wonder though, she knew; we decomposed. Sara Carson had no delusions about heaven, hell, life after death, or reincarnation. However, what Sara Carson did not know, was that some of us are special. For some of us, life on earth is merely a short stopover on a much, much, longer journey. In fact, for some of us, death is just the beginning of our next great adventure. Paperback version proof copy is being printed as I write. Order your copy here now.